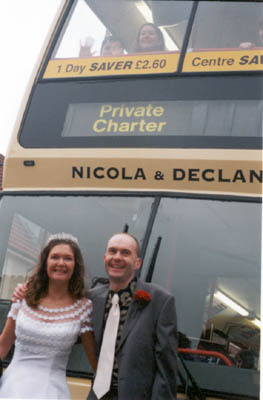 Connections with Brighton and Hove : Special request for wedding party, only displayed for a few days in January 2002. 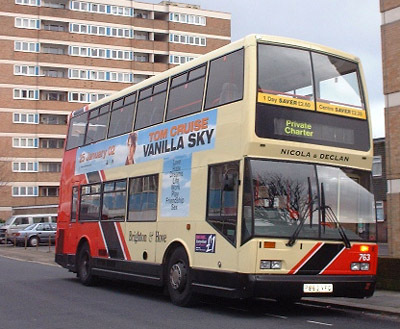 A one-off idea that proved to be an expensive option, was never offered again. 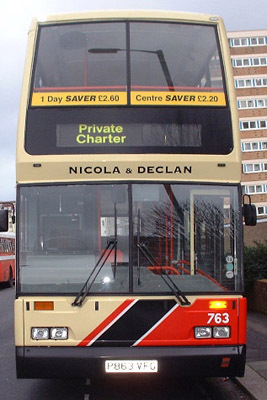 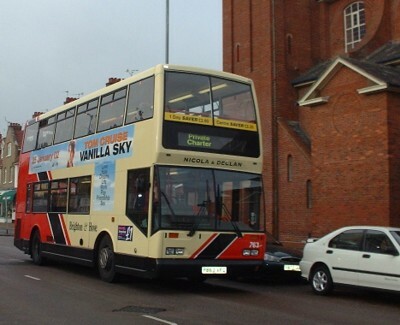 763 Scania Cityzen carried name for wedding party for a few days in January 2002, did not operate in normal service.